How many ? 1 units in stock. Looking to add a big hit of colour to your decor scheme? 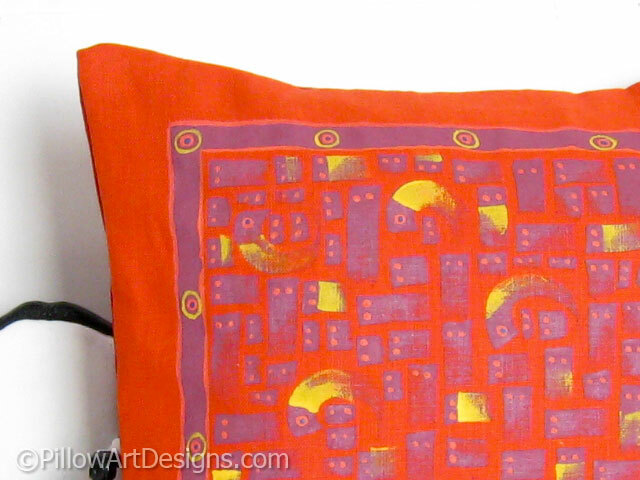 Here's a bright and cheery abstract design pillow painted on rich orange and red linen. 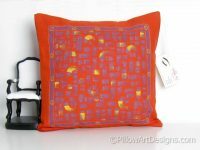 The painted design on the front of the pillow is done in purple and yellow, a unique and artistic addition to your space. 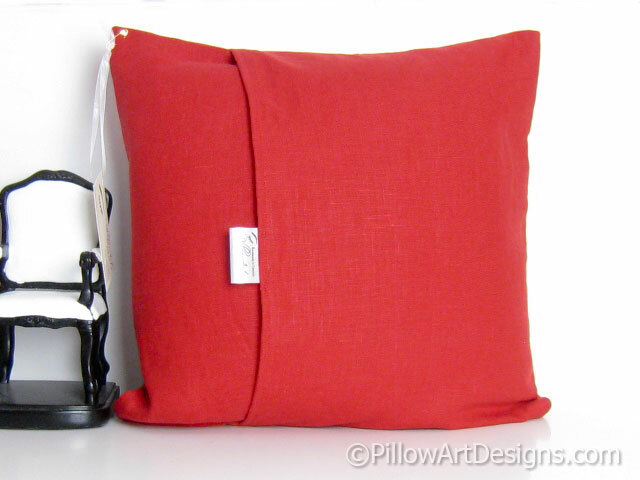 The front of the pillow is bright orange linen, the back deep red linen. Please note, price is for cover only, if you wish to include an insert, please contact me here for price and shipping details. 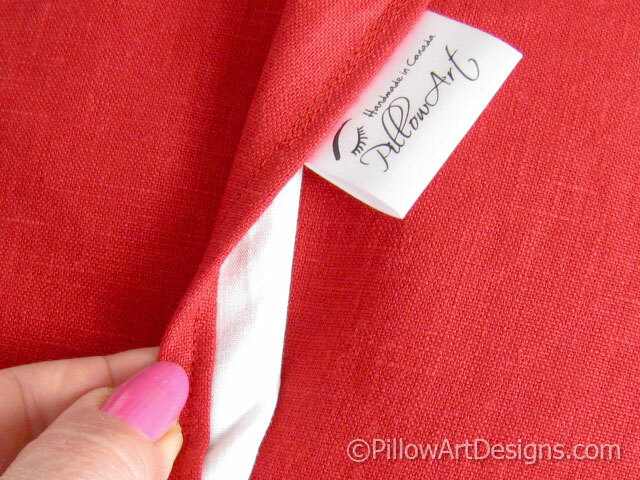 Quality fabric paint used, will not rub off, flake or wash off.